This was the second of the two 2000 Christmas holiday shows. Jambalaya (On the Bayou) was reported to be sound-checked together with Patti Scialfa acoustically, but it was not played on the show. Played during a benefit for the Ranney School. Bruce is backed by Bobby Bandiera’s band and is joined by Patti Scialfa and Southside Johnny. 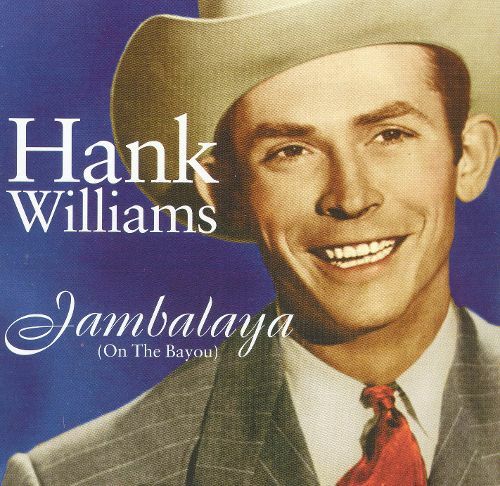 "Jambalaya (On the Bayou)" is a song written and recorded by Hank Williams that was first released in July 1952. Named for a Creole and Cajun dish, jambalaya. With a melody based on the Cajun song "Grand Texas", some sources, including AllMusic, claim that the song was co-written by Williams and Moon Mullican, with Williams credited as sole author and Mullican receiving ongoing royalties. Since the original melody of the song was from "Grand Texas", the song is a staple of Cajun culture. However, although Williams kept a Louisiana theme, Williams' song resembles "Grand Texas" in melody only. "Grand Texas" is a song about a lost love, a woman who left the singer to go with another man to "Big Texas"; "Jambalaya", while maintaining a Cajun theme, is about life, parties and stereotypical food of Cajun cuisine. The narrator leaves to pole a pirogue down the shallow water of the bayou, to attend a party with his girlfriend Yvonne and her family. At the feast they have Cajun cuisine, notably Jambalaya, crawfish pie and filé gumbo, and drink liquor from fruit jars. Yvonne is his "ma cher amio", which is Cajun French for "my good friend" or more likely to mean "my girlfriend." Technically in Cajun culture "ma cher amio" means my dear, which refers to Yvonne in this song.